What’s Happening in the Four States Not in Session in 2018? While 46 states are holding regular legislative sessions in 2018, four states – Montana, Nevada, North Dakota, and Texas – are not. But, just because these legislatures do not formally convene this year does not mean they are inactive. Each state has a unique process in the interim year to get ready for their full session in 2019. So, if you wrote off these states this year, think again and get planning. In the wake of the fallout, the Republican Party of Texas put a non-binding referendum on the March 6, 2018 primary ballot hoping that the results would drive action in the upcoming session. On a bathroom-related question, 90 percent voted in favor of public bathroom privacy. 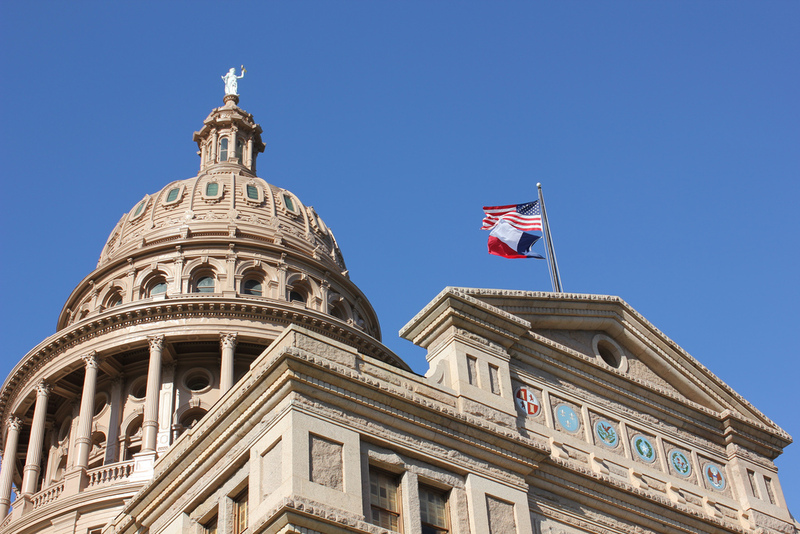 Another 90 percent voted in favor of employers screening new hires through E-Verify and 68 percent were in favor of abolishing abortion in Texas. Other items on the ballot included statements relating to: property taxes, the Affordable Care Act, toll roads, voter fraud, and stadium funding. Pre-filing is set to begin the week of November 12, just after the November 6 general election. In September of 2017, the Interim Legislative Management Committee voted to pursue legal action over Governor Doug Burgum’s (R) use of veto powers. House Majority Leader Al Carson (R) expressed concern that the Governor “selectively deleted words which changed the intent of the language” on a spending bill. For example, Burgum vetoed three words from a higher education funding bill that prevented Dickinson State University from discontinuing “any portion of” its nursing program. Lawmakers took issue with Burgum’s restrictions on spending without vetoing the appropriation itself as the Governor is only permitted to veto line items in appropriations bills. The State Supreme Court has yet to rule in the case of the intra-partisan executive versus legislative battle and is set to do so sometime this spring. Though formal prefilling does not begin until December 3, a link to all interim committee bill drafts are already available online. In November 2017, Governor Steve Bullock (D) called a special session to close a $227 million budget hole. Tensions mounted as members of the Republican controlled legislature vowed not to raise taxes while Governor Bullock felt temporary tax increases were necessary. Two ideas that ultimately ended up failing were an increased lodging tax, from three percent to six percent, and a car rental tax hike from four percent to ten percent. Bullock and lawmakers ended up agreeing to: $76 million in spending cuts, $94 million in transfers, cuts, and delays, a $30 million management fee from the Montana State Fund, and $15 million for renewing the contract with CoreCivic for operation of the Crossroads Correctional Facility in Shelby. In addition to the special session, the state has 16 committees that have met roughly once a month since June 2017. Notably, the Children, Families, Health, and Human Services Committee has been reviewing transparency in health care pricing and meeting to discuss the types of information that would be most useful to consumers. Unopposed lawmakers can now begin prefilling legislative concepts (LCs) as the March 12, 2018 filing deadline to run for public office has passed. Other lawmakers can begin proposing LCs immediately after the upcoming November 6 elections. During off-season years, there are 21 legislative interim committees that meet three to six times. All interim meetings are open to the public and participation is encouraged. Agendas, minutes, and final reports are all posted on the legislative website. Final reports from these committees are due by June 30, 2018 which includes all committee bill drafts. Though committee bill drafts are not the only way to propose legislation, drafts that arise out of committee generally begin session with a head start in 2019. One other complicating factor is that Governor Brian Sandoval (R) is term-limited and has therefore finished presiding over the legislature, which makes the next eight months all the less predictable.